We are now back on Scottish soil! Our drive from Southport was reasonably good though it took over 4 hours including a break for dog and human (note the hierarchy). We stayed at Lidalia Campsite in Newcastleton in the Scottish Borders (near Hawick). The weather remains sunny & bright! This campsite is well worth a visit. 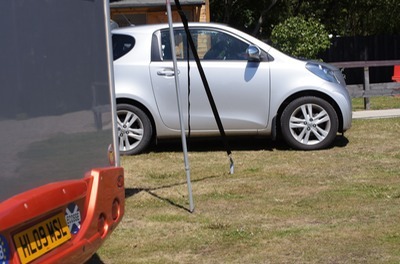 It’s an affiliated Caravan Club site and provides excellent facilities. It’s a family run site and they could not be any more friendly or helpful. There are separate male & female shower and toilet blocks, both with inclusive shower rooms - spacious and spotless. The setting is wonderful, and the hardstanding pitches are large and well laid out. Some have water and grey waste drains. The local butcher on the main street of Newcastleton sells the most enormous fresh eggs that tasted like we used to remember eggs tasting in ’the olden days’ - nom, nom! We had a fabulous dinner in the Grapes Hotel in Newcastleton from an excellent, varied menu and wine list. Excellent value for money; one we can highly recommend. This is definitely a place and campsite we will return to. Just arrived in Southport, not so far from Liverpool. Super site, massive pitch, all mod cons to hand. Unfortunately, I broke the nose pad of my specs yesterday morning, and not wanting to trek into Bath again, opted for my sun specs, which was OK as it was sunny; planning to get it sorted here tomorrow. By the time we arrived here I had a pounding headache, so after setting up camp we headed for Vision Express in Southport. How impressed are we with this town? - extremely - the main shopping area has Victorian style canopies over the shops, so pretty. Wide streets, the hint of sea air, perfect. Specs fixed by friendly staff, who took time to point out a few highlights in the area that they thought we would find interesting. So far, so good. Weather iffy at the moment, windy with the threat of rain but brighter skies on the horizon. 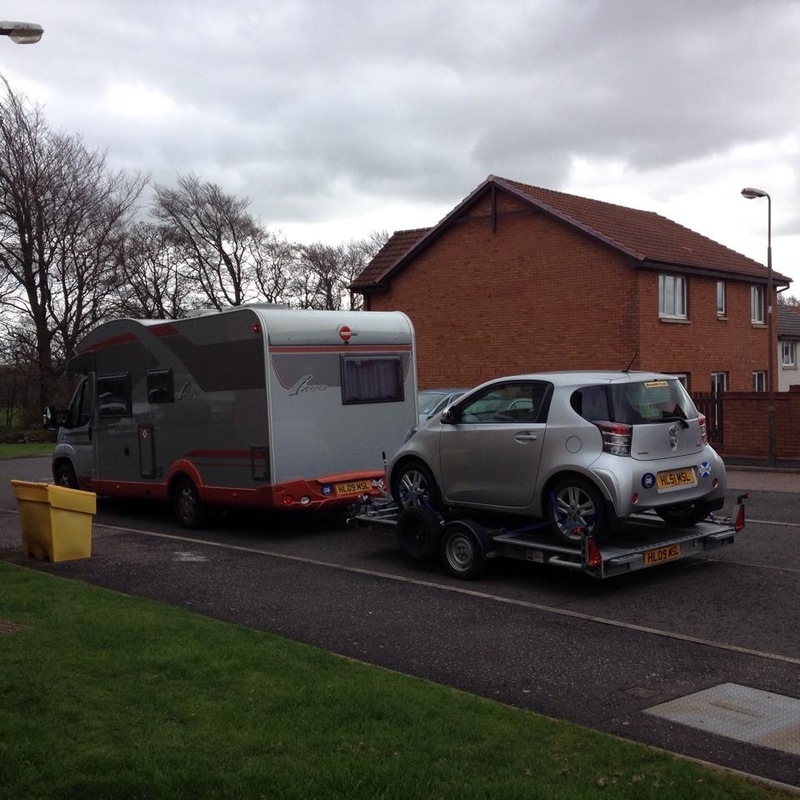 Willowbank Holiday & Touring Park is an excellent campsite which we can heartily recommend. The statics are in a separate area from the touring pitches. Toilet blocks are perfect; at least the one closest to our pitch was. And so Big Adventure No 2, or the Very Long Holiday, or the Nomad Life (for the moment) is due to end next Wednesday, 23 July, when we get back to Livingston. Meantime, tomorrow we are off to find our place on a bus tour of Liverpool and ferry across the Mersey (so long as dogs are permitted). Also on the cards is a trip to Crosby, from all accounts worth a visit, and there is a dog friendly beach. A day in Liverpool was very interesting and enjoyable. Go to Albert Docks to pick up combined tickets for the City Bus Tour and Ferry Across the Mersey. On a very hot day this was an excellent way to see the city. Back in Ainsdale, Southport, there was a Chinese Restaurant - Jade Gardens - where we had a fabulous meal. Another highly recommended from Margaret and I. Varied menu, efficient and friendly staff - a place we would definitely come back to. There are plenty of great beaches in and around Southport but not all of them are dog friendly. We found one near Formby which was life-guard protected with miles of wonderful sand; just perfect for Maya and Magan. 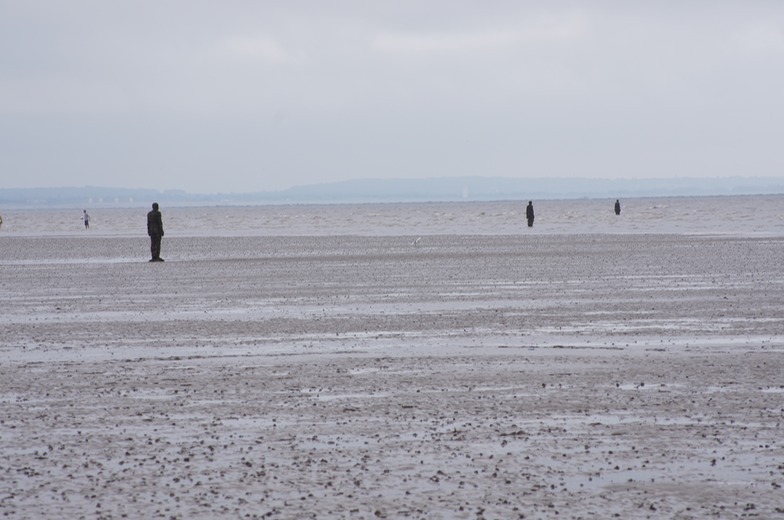 We also spent a lovely afternoon at Crosby Beach where you can see the Sir Anthony Gormley’s ‘Another Place’. This consists of 100 identical bronze casts of the artist’s body set in lines across the beach and stretching down into the sea. As you gaze down you can see lines of statues gradually disappearing into the sea; more or less depending on the state of the tide. One word of warning! The sand is very soggy and in areas can be very wet and soft. Wear wellington boots, not trainers nor sandals! But, we enjoyed the day.